Memar Architects | Do I Need Building Permit? As the building owner, you are ultimately responsible for complying with all building requirements. Failure to obtain building permits can result in costly construction delays, legal action and/or the removal of work already completed. 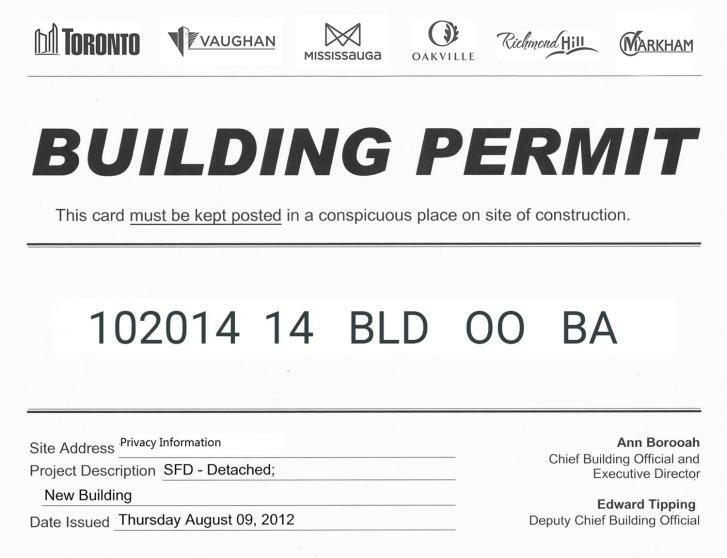 The following is a list of common projects that require a building permit. The list is not exhaustive. 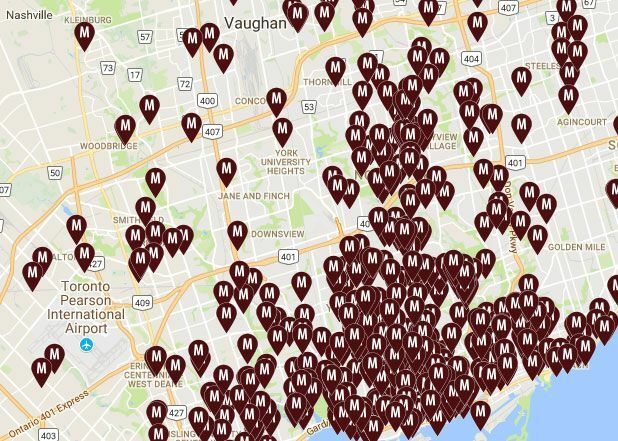 If you have any questions please contact Toronto Building. Enclosing an existing deck, porch or patio of any size. *Note: If you are constructing an accessory structure and it is attached to an existing building and/or has plumbing, regardless of its size, a building permit is required. Change a building's use (i.e. from residential to office, or single dwelling unit house to multi-dwelling unit house) Even if no construction is proposed, a change of use is proposed a building permit is required. The following are examples of work which do not require a building permit and are not subject to the provisions of the building code. However, please note that this list is not exhaustive and judgment should be used, depending on the situation and circumstances associated with the project. Even if a building permit is not required, compliance with the Zoning Bylaw is required. Complies with the Zoning Bylaw. Plastic sheet covered accessory structures (i.e. snow canopies, driveway tents, automotive canopy) do not require a building permit if installed on or after October 15th and are removed on or before April 15th. Compliance with the Zoning Bylaw is required. Constructing a retaining wall that is on private property, not accessible to the public and/or where the height is less than 1 meter in height at any location. A building permit is not required to install a sump pump.